At Cadbury, we know that without successful farmers and thriving cocoa-growing communities to produce our cocoa, we cannot bring consumers the chocolate they love. The importance of a sustainable supply of cocoa has driven the creation of Cocoa Life, an industry-leading independently verified program to support sustainable cocoa production. 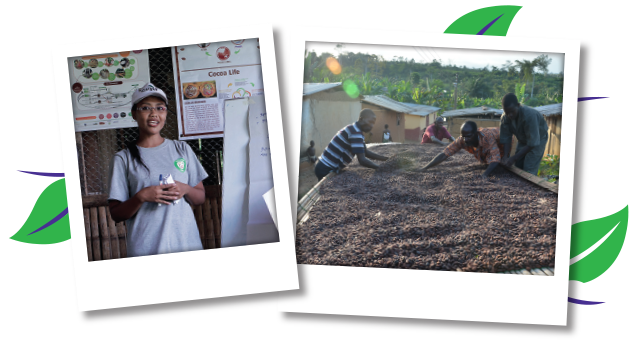 Cocoa Life works directly with farmers to provide farmer training and support for community development and environmental protection. Cocoa communities that include women’s voices and empower youth through education. We work on the ground with NGO partners to deliver the program in over 1,000 communities, impacting 120,000 cocoa farmers to-date! Multi-stakeholder collaborative program design and oversight. Tailor made trainings for women’s groups. Facilitating the development and implementation of Community Actions Plans. Education in financial services and access to finance. 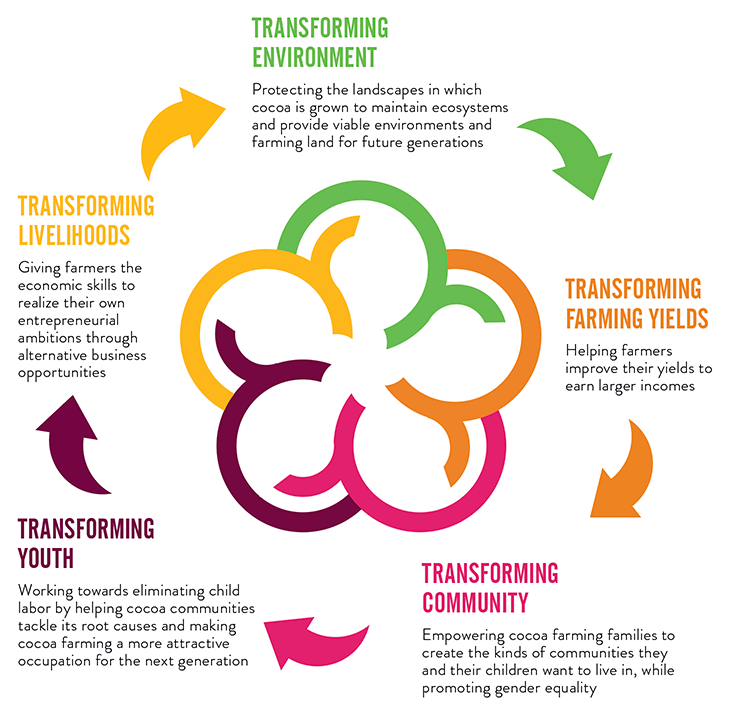 By learning and using the most up-to-date good agricultural practices, farmers are working in a sustainable way whilst achieving higher yields and therefore earning a higher income.